I am writing this trip report as I sit in the Salt Lake City airport. The husband and I are on our way to Wyoming, for two weeks of rope climbing in Ten Sleep. I’m looking forward to an extended trip, where much falling, some projecting, and a little sending will happen. 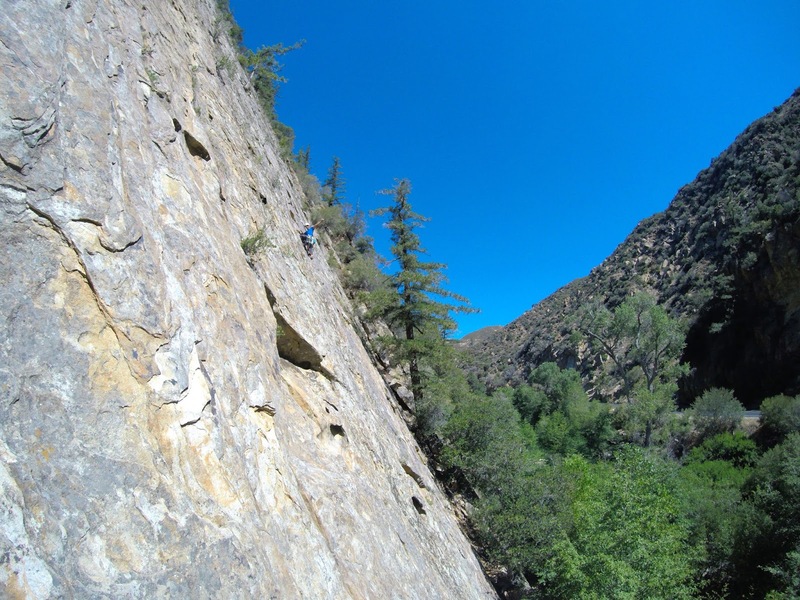 Here is the wrap up from Sespe Gorge and Wheeler Gorge, just outside of Ojai, California, where we climbed the past two days. The husband and I with Sespe Gorge’s Black Wall behind us. From Orange County it takes about 2.5-3 hours to get to Ojai through LA (the land of many cars), and an additional 25ish minutes to arrive at Wheeler Gorge and then Sespe Gorge. 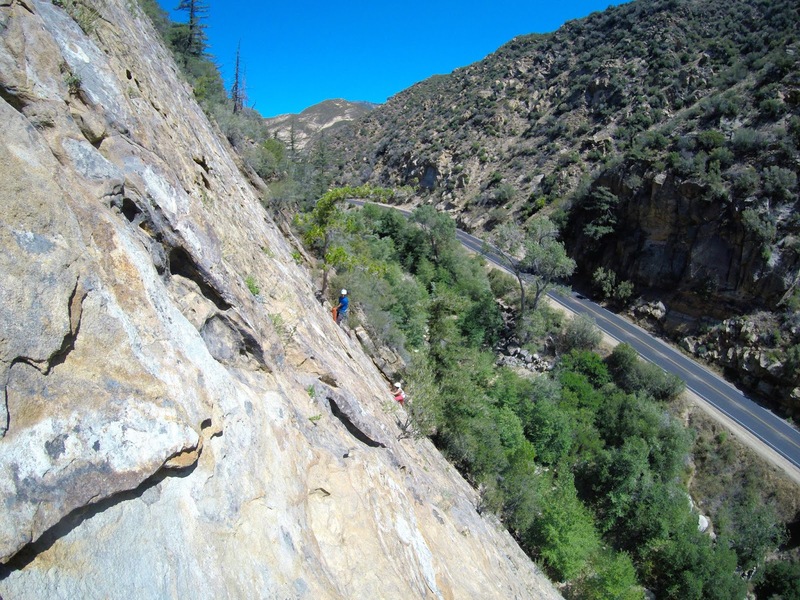 It’s a two lane road, state highway 33, that travels into the Los Padres National Forest. 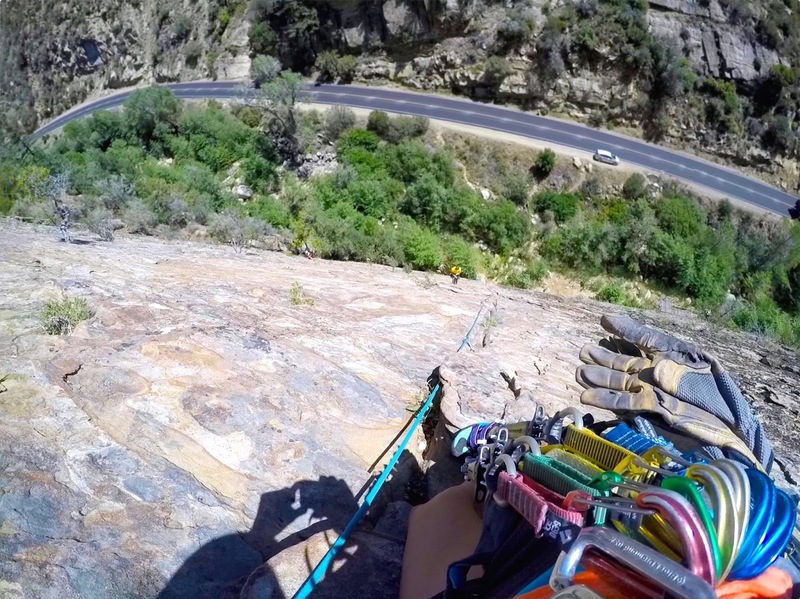 Parking is limited in availability by roadside pull outs, but directly near the climbing. 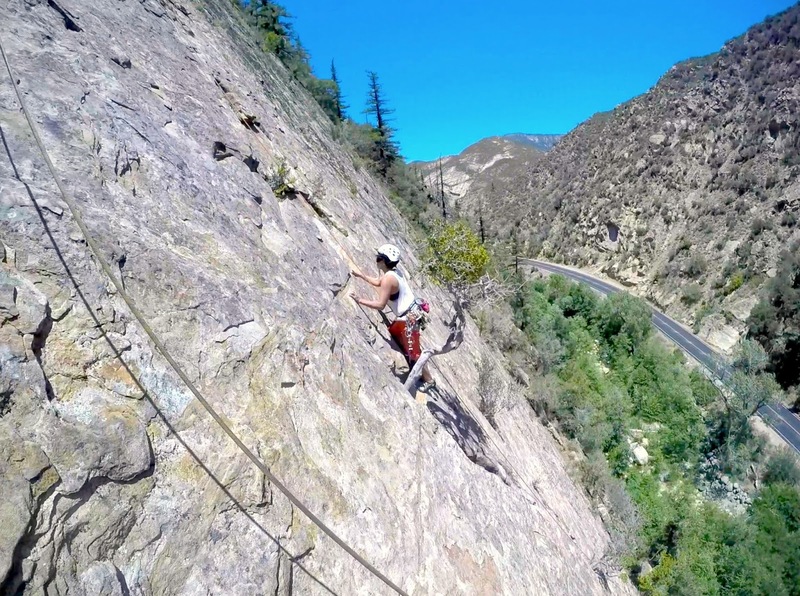 There is a campground at Wheeler Gorge that does not require reservations, and you will pass the smallest United States Post Office on the way. 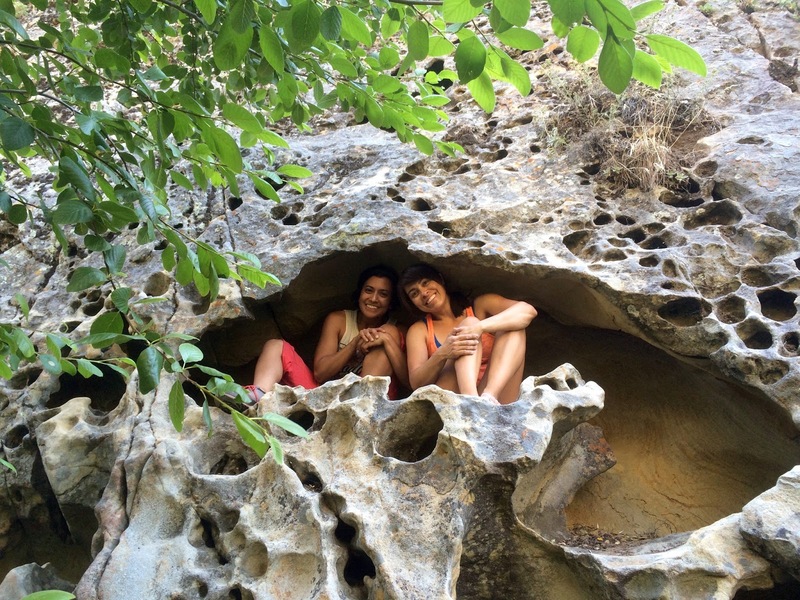 We found a fantastic couple to climb with, right in our very own bouldering gym. 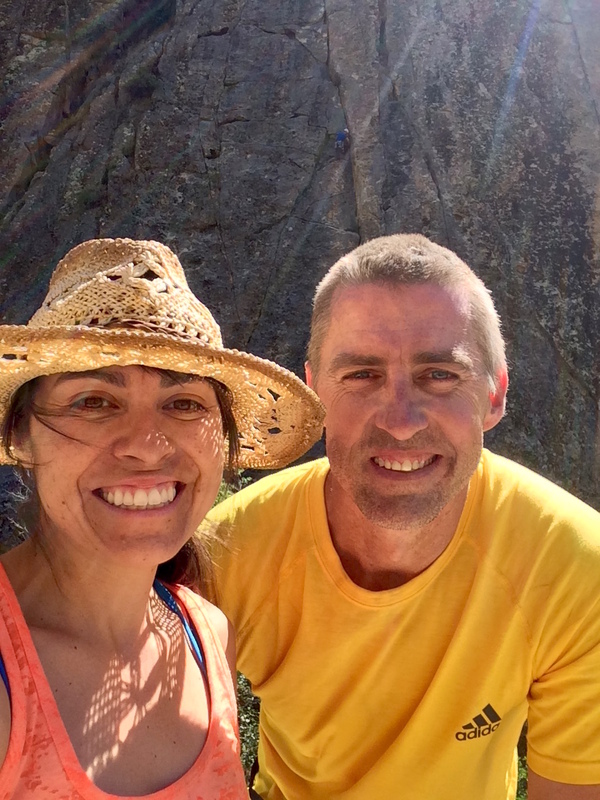 Originally from Florida, Abe and Maria moved to California for Abe’s post-doc, and the climbing bug found them a few years later. This was our first of many adventures together. 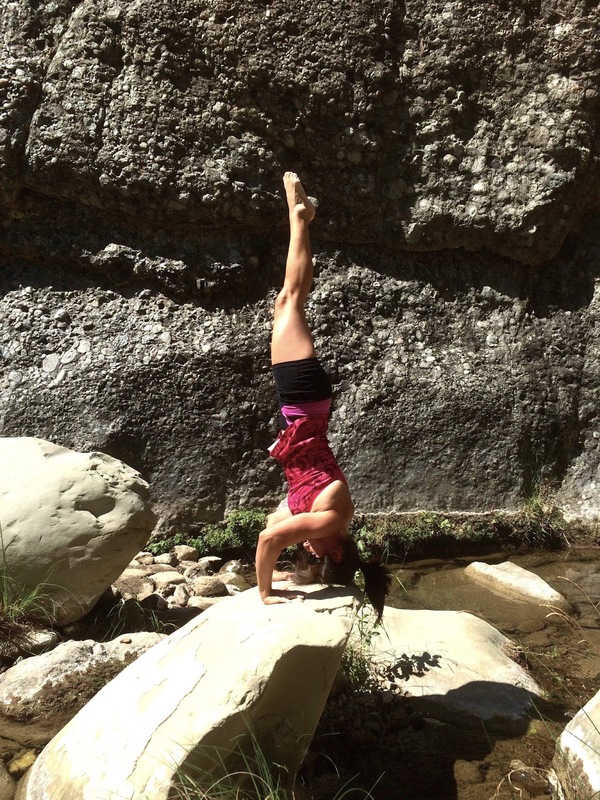 We drove past Wheeler to Sespe Gorge for day one of the trip. The parking lot is directly across from the wall, and it’s a very short walk down into the river bottom from there. Beware of the Poison Oak, and let those leaves of three be. 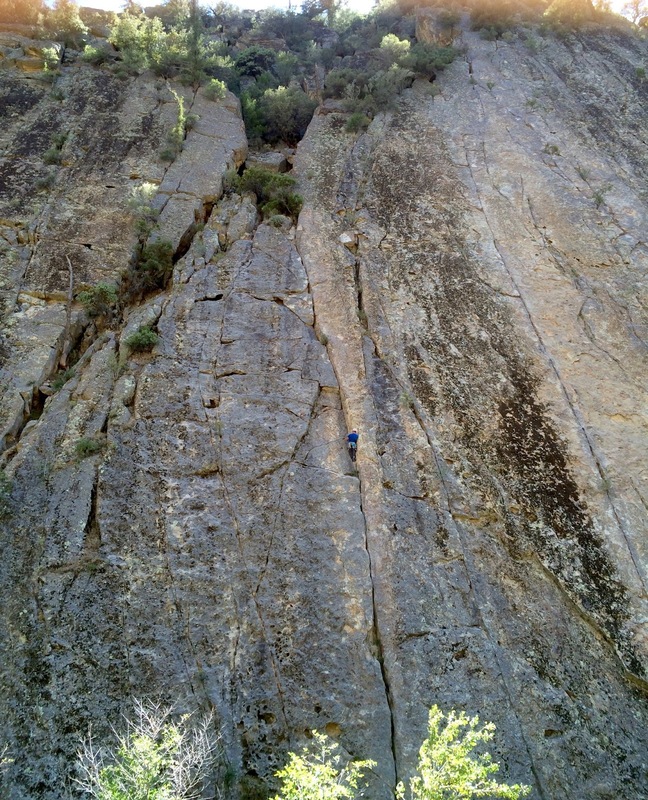 Heading up the first pitch of Ending Crack, with the gorge and road in the background. Putting my fingers, fists, toes, elbows, shoulders, knees, hips, and other parts in many new places. It’s been a few years since I put the Hula Skirt of trad gear on. The weight was awkward, like the feeling of a new hair cut. As I organized my nuts, cams, slings, lockers, biners, belay device, and various other tools I was surprised again by how quickly I remembered where I like all my pieces to hang. Lots of shiny pieces of gear on my harness. Louie following up behind me, letting me take the lead for the day. Husband setting us up for the next pitch, while we discuss my piece placements below. I elected to lead first. Somehow I felt brave enough to jump into the deep end, and my husband was only encouraging me. 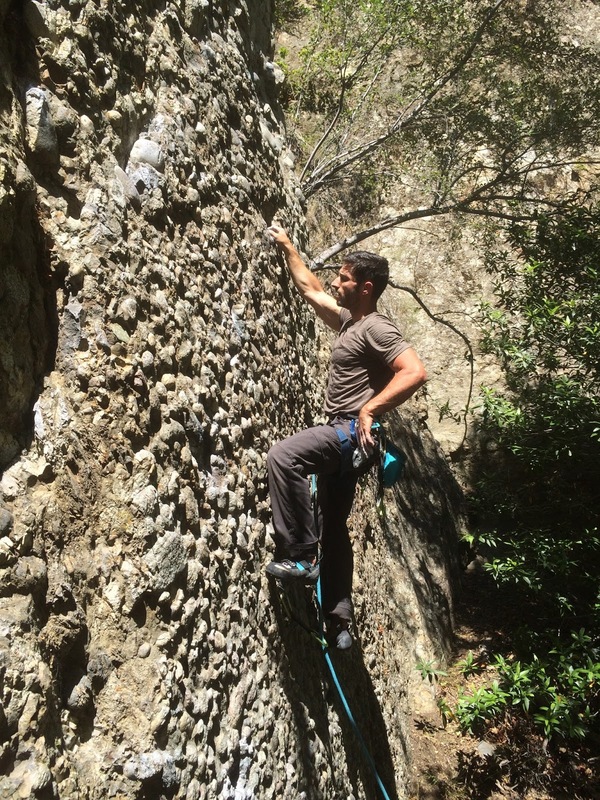 I only had a few moments of hesitation when I considered what I would do when I reached the mid wall anchor. 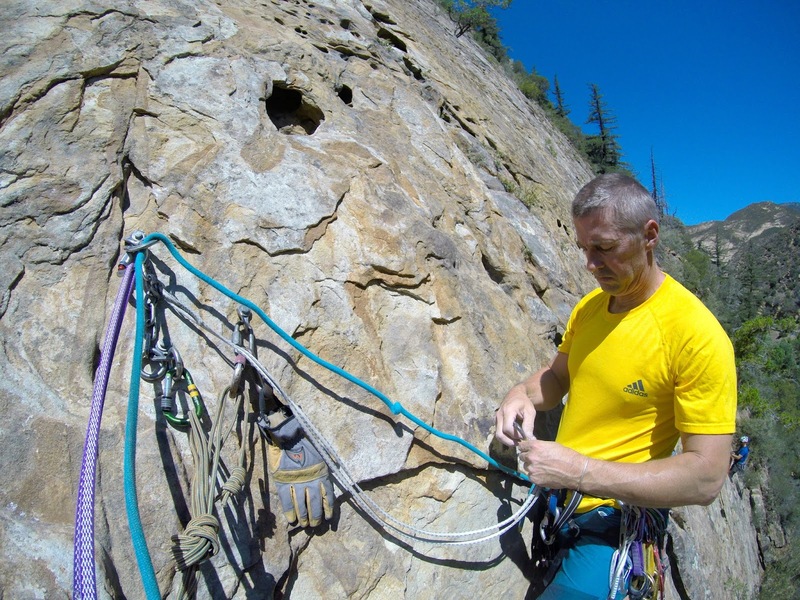 My memory failed me briefly as I searched to remember how to properly set and equalize the anchor and belay system. 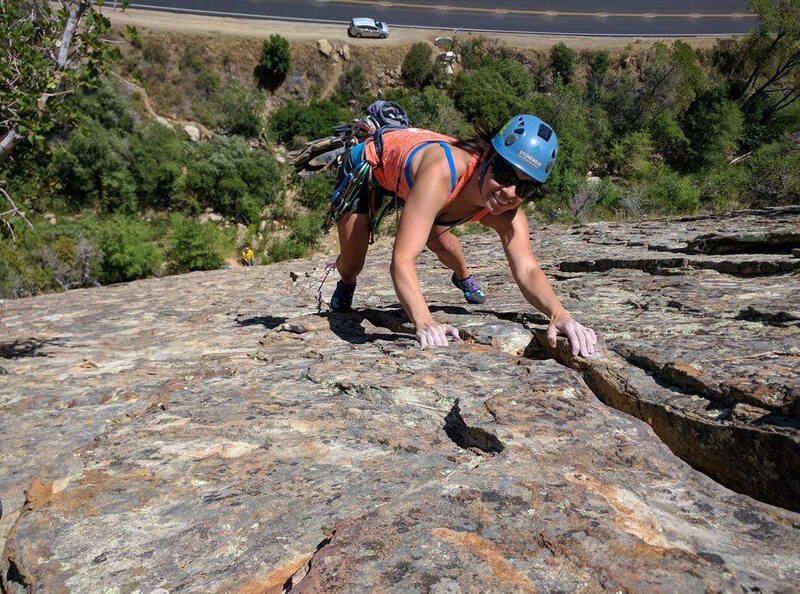 After a brief conversation I felt confident again, and secured the first pitch and belay nicely. Maria following Abe up Tree Root. Connecting at the first belay of Tree Root. Abe coming in for the close of Tree Root. 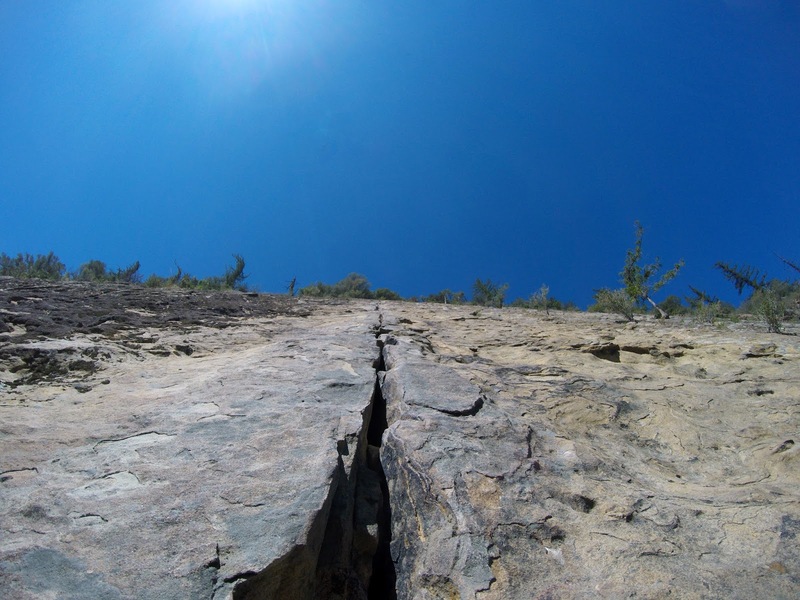 Abe and Maria climbed up a crack directly to the right of us, Tree Root. We were able to communicate and encourage each other. 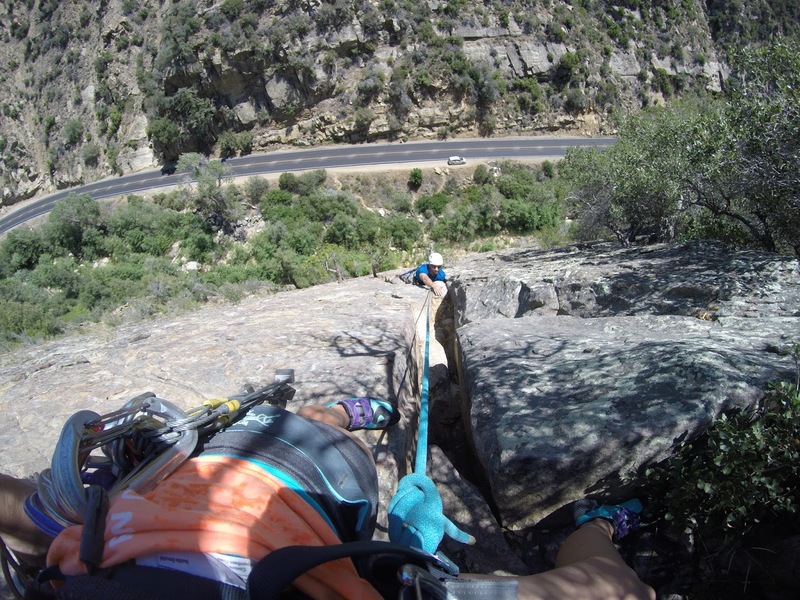 The two routes, Ending Crack and Tree Root, merge near the top and share an anchor. I opted to sling a secure tree, while Abe used the bolts. Louie and Maria followed us again. 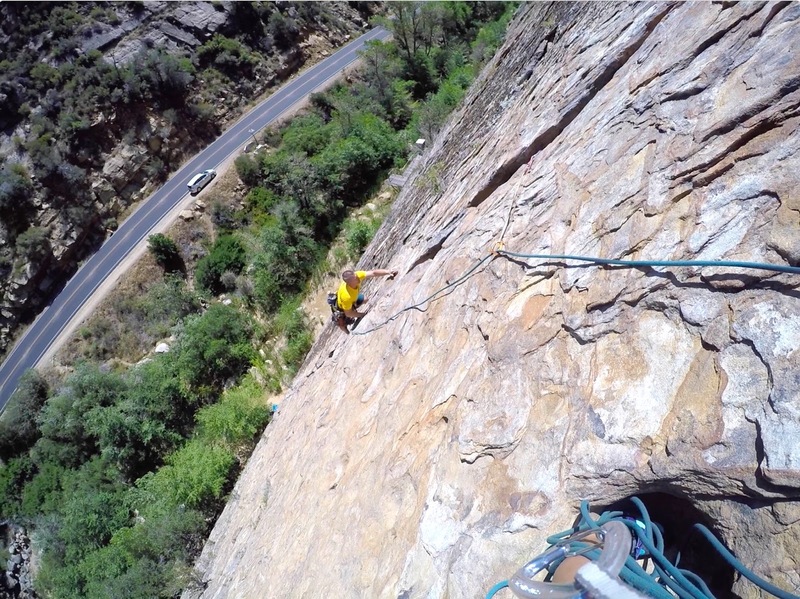 We didn’t want to get too crowded at the top, or at the belay below for the second repel, so Louie and I cleaned quickly to hurry down. 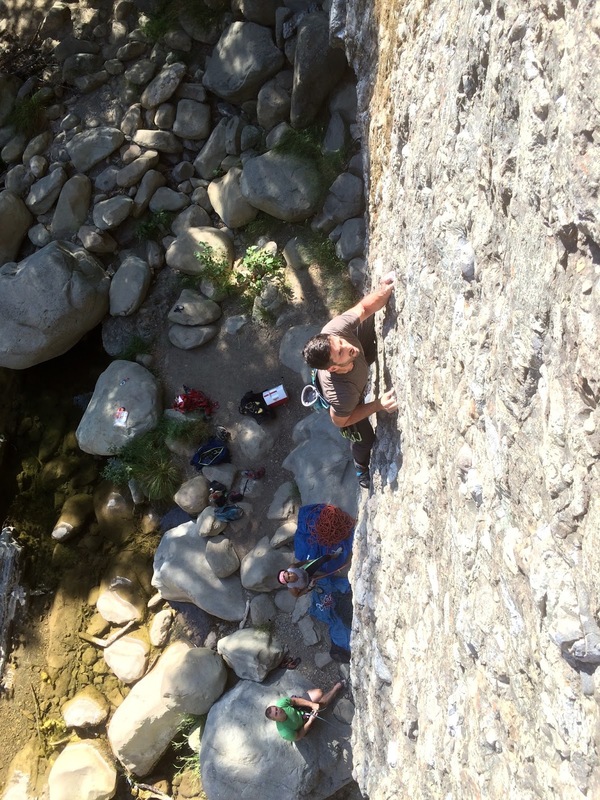 Meeting at the belay, second pitch gets a bit crowded. Abe digging the climbs of the day, and the fact the wall went into the shade. 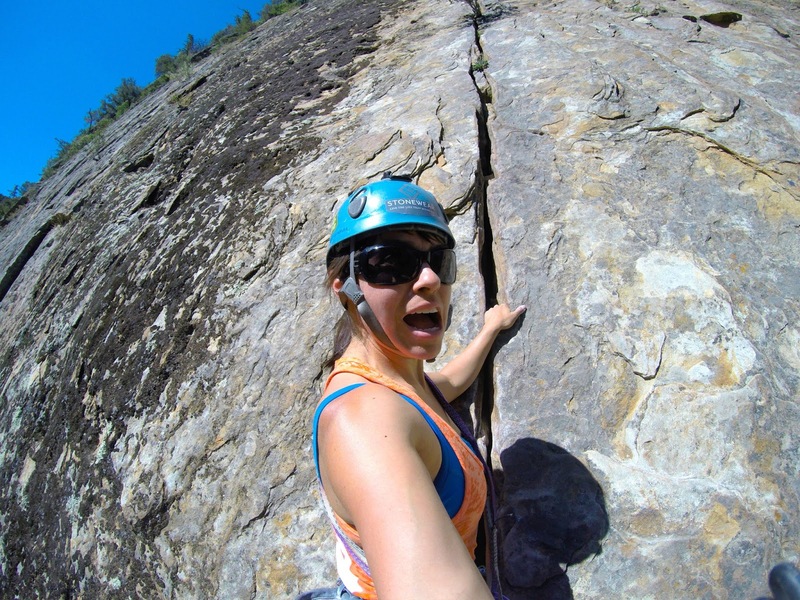 Although is was very warm due to an untimely heat wave, the day was well spent and full of trad climbing. 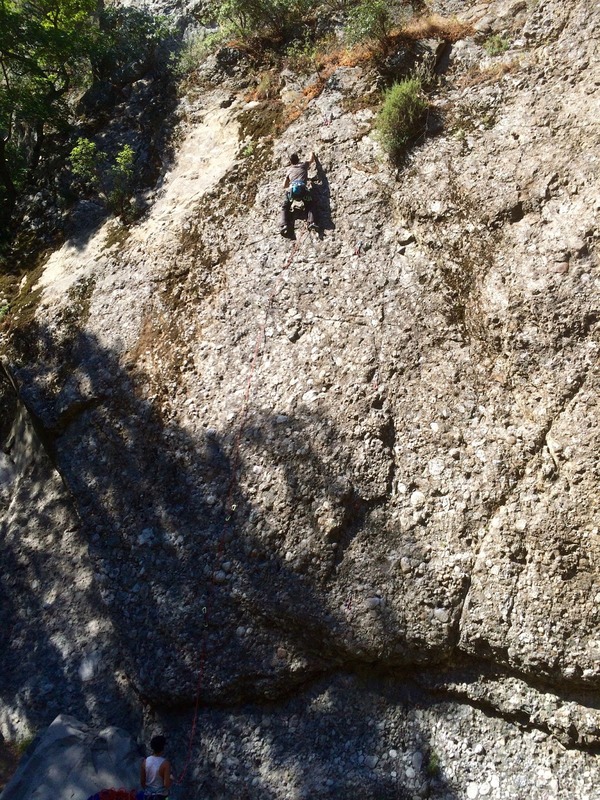 Once in the shade the temps dropped dramatically, with hours left of light to climb. All the way to the hotel we talked about where to adventure next that would have us placing more pieces. Back in Ojai we had a fancy dinner at Azu, with delicious cocktails. There were many vegetarian options, and choices for vegans as well. Life is good when you find yourself in a ‘hole’ lot of fun! 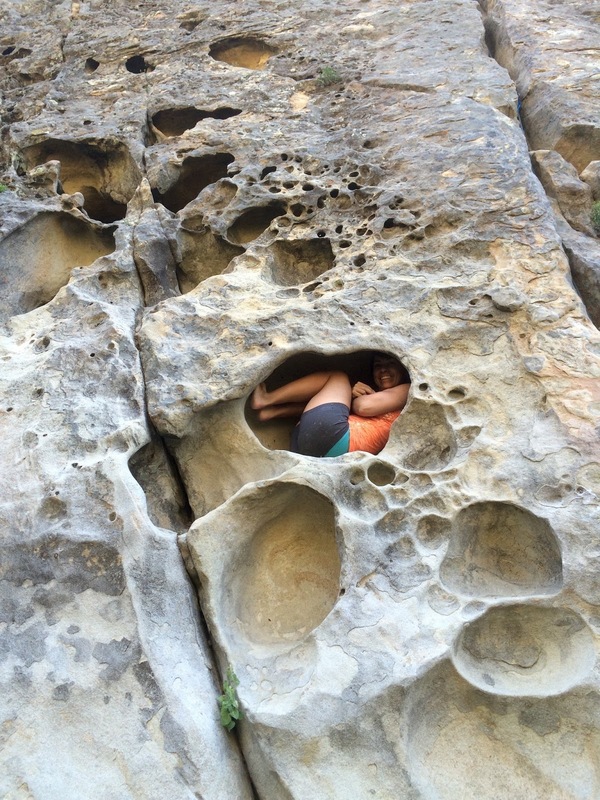 Maria obviously agrees it’s a ‘hole’ lot more fun to enjoy a hueco together. 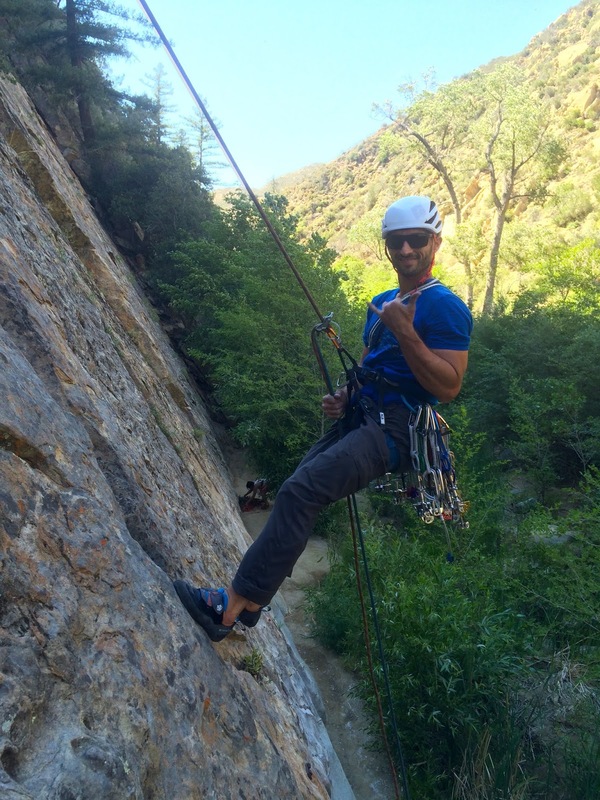 Day two brought us to Wheeler Gorge, which is slightly closer to Ojai, and much cooler because the walls are encased deeper into the canyon. There is more than one place to park, and more than one entrance down into the riverbed. You can also simply walk from one end of the river to the other, as the climbing sections are fairly close to one another. Abe on Cobble Climb 5.8 learning to trust his feet on cobbled slab. Abe working the beta out on Cobble Climb. 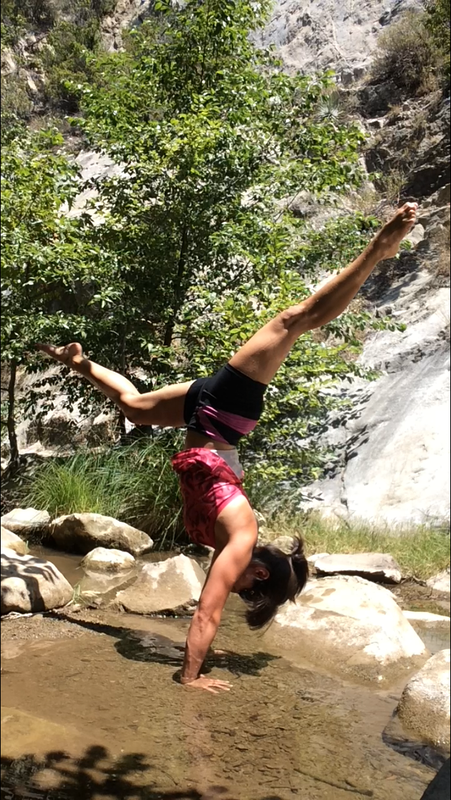 Maria and I had the chance to play around with poses on International Yoga Day, and I worked on my handstands in the stream. The walls are much shorter in this area, and have a completely different texture. Sections are filled with small cobblestones, and remind me of Maple Canyon with a smoother texture, more slab, and lots of feet trusting with marginal hands. That gave us the idea that perhaps Maple will be our next stop. 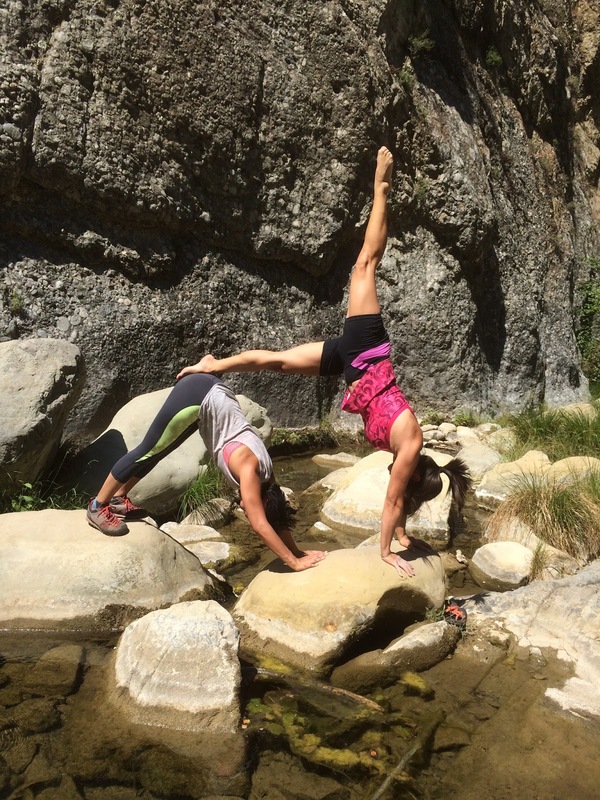 A little partner yoga and acro fun. 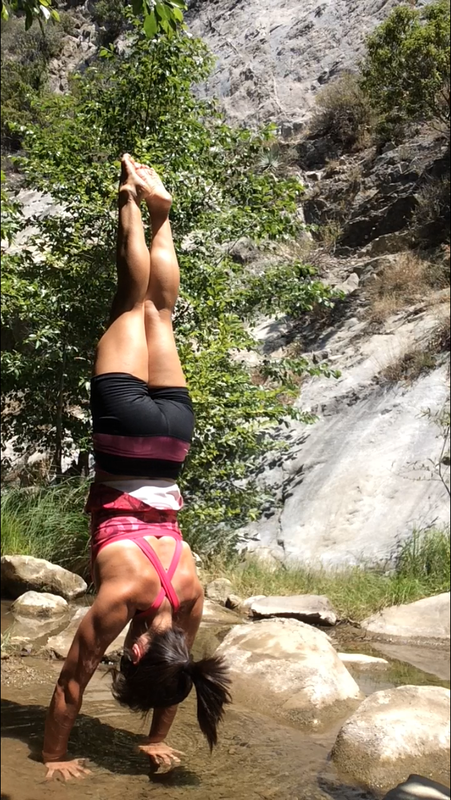 Handstands are always fun because I’m an inversion addict.